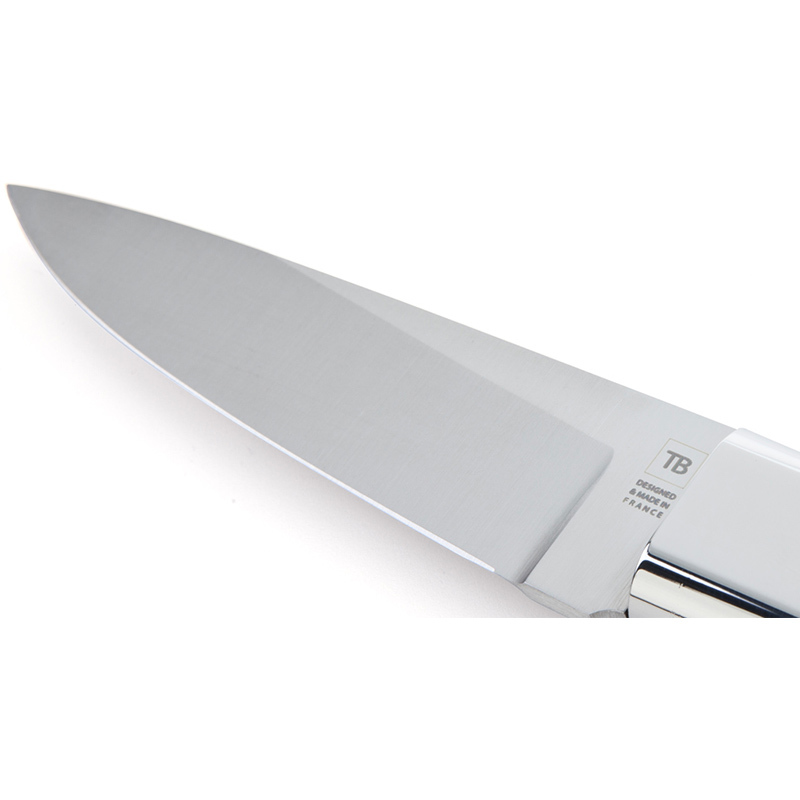 This paring knife by TB Groupe is ideal for cutting fruits and vegetables. Its powerful blade is made of carbon and chromium – high-quality materials that provide it with unparalleled strength and allow it to resist corrosion. This professional-grade kitchen knife is a quality utensil that will make preparing your favorite recipes easy. 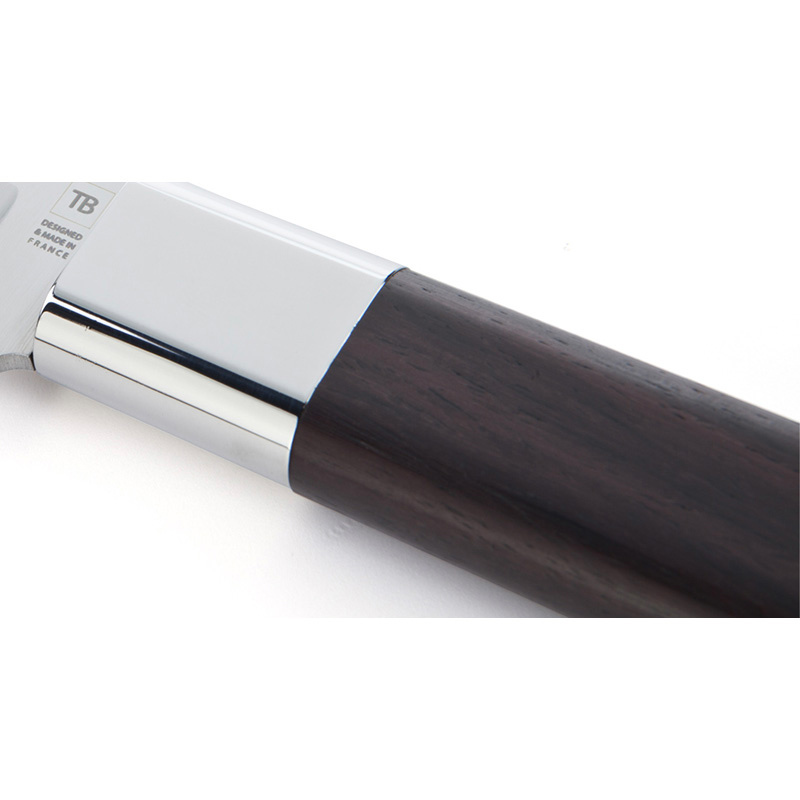 This paring knife was designed by Tarrerias-Bonjean and is distinguished by its modern design and excellent grip. Its straight handle is dense and does not absorb moisture. This paring knife’s wide bolster has a brightly polished finish that imbues it with contemporary style. This premium paring knife makes an ideal gift and its blade can be customized with a laser engraving of up to 30 characters. Designed and manufactured by Tarrieras-Bonjean, this paring knife has a modern design and offers you a comfortable grip. Its straight handle is dense and does not absorb moisture. 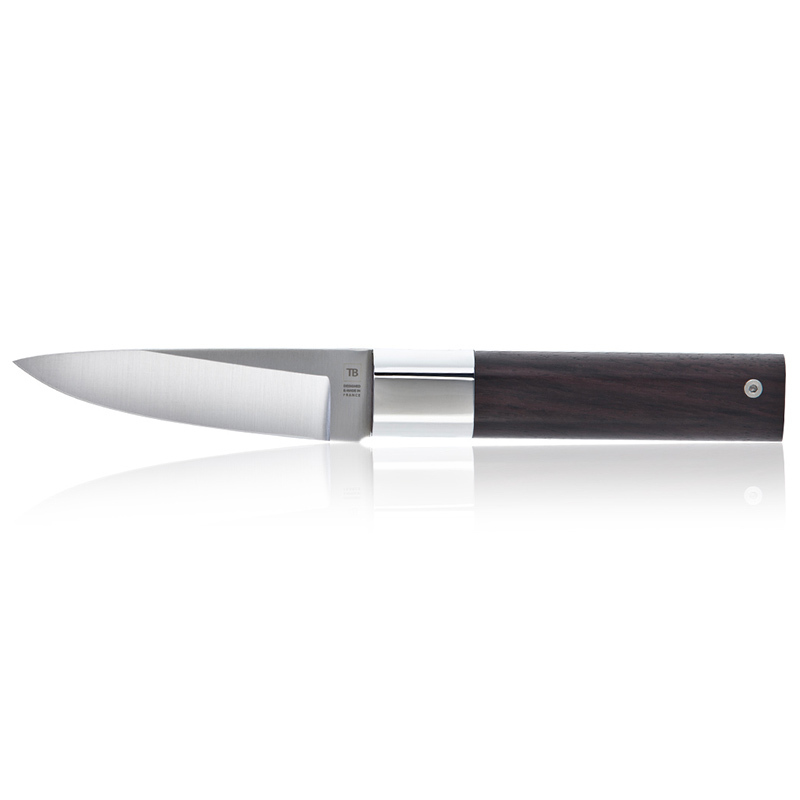 This paring knife’s wide bolster has a brightly polished finish that imbues it with contemporary style.